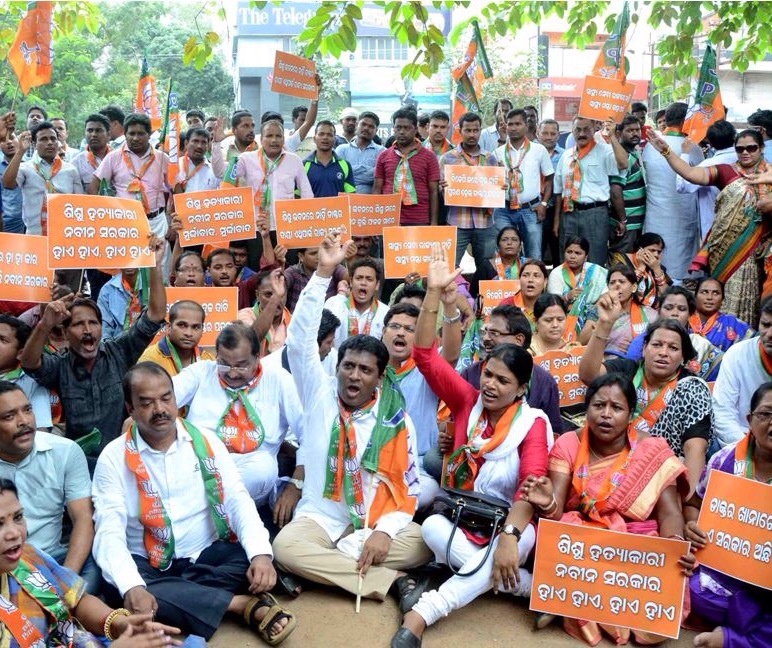 Insight Bureau: Is BJP giving sleepless nights to BJD in Odisha? Which party holds the edge as on today? Balakrushna Patra: No.. There is lack of unity within BJP and Congress. BJD remains strong and united. Amit Kumar Dash: BJP is in fact helping BJD to win the next election. People were tired of this BJD govt and they wanted a chance. But, they are more frustrated with the central BJP’s policy and work. Voters will aggressively vote for BJD this time despite all the negative factors against the party. Nirmal Panda: BJP’s plan and policy are indirectly helping BJD. The saffron party is unable to understand it. Sambit Nanda: It’s obvious that the rise of BJP is giving sleepless nights to Mr Naveen Pattnaik. But, BJD is still way ahead of BJP in ground reach. Prakash Parija: Yes, BJP forced BJD to be active. Simanchala Mishra: BJD still has the edge and will continue to do so. It is also true that BJP is giving sleepless nights to BJD. The party which has a sound sleep is the Congress. Divyaranjan Roypatro: It seems so. BJP is definitely rising. Naveen Babu is copying Modi Ji, but it may not work. Vijaya Singh: I still believe there would be a coalition between BJD and BJP in Odisha ahead of next elections. Biswa Nandan: It’s all about the night before election. The party that supplies more alcohol and money to villagers, will have the edge. Neither Centre nor the State Government is serious about people. They just want to grab the chair by hook or by crook. Jagannath Satapathy: I think this is the testing phase for BJD, which never faced any big challenge since its inception. Congress failed to counter earlier, but BJP has gone aggressive, thanks to emergence of leaders such as Dharmendra Pradhan, Pratap Sadangi and Sambit Patra plus more attention paid by the central leaders to Odisha. It’s true that BJP still remains very weak local levels especially in Coastal and Southern Odisha, while it has solid base in Western Odisha. The outcome of Gujarat polls may give a new dimension to current political scenario. Naveen Patnaik has also gone aggressive, responding to the present situation. But, a coalition in future can’t be ruled out too. Swagat Kumar: BJP is helping BJD with some hypocrite spokespersons talking nonsense everyday on TV media. Laxmikant Rout: Yes, definitely. It’s needed too in a democratic country like India, which requires strong opposition for devlopment; otherwise it would be difficult to wake the rulers up. Ajaya Kumar Rath: All regional parties including BJD are aiting for the outcome of Gujarat and Himachal Pradesh elections, especially Gujarat. Hence, not only Bijepur but also December 18 outcome will be vital in Odisha politics. Chakrapani Mishra: Yes, 100℅ correct. No doubt that BJP is giving sleepless nights to BJD in Odisha. Amulya Rout: Healthy competition is good, as it would force the political parties to help the common people. And, it’s true that because of BJP, other parties have started working. Santosh Mohanty: Difficult to say, as voters are unpredictable.